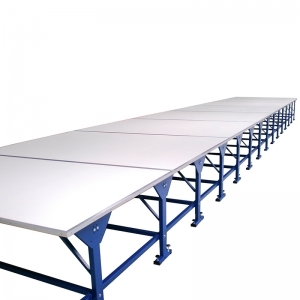 This table is a smaller version of the standard ST-3/R table. 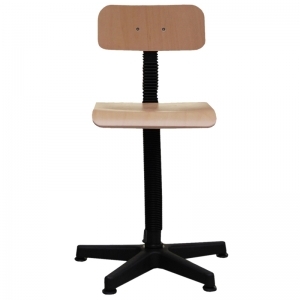 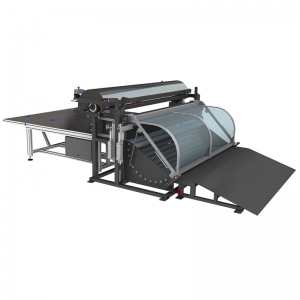 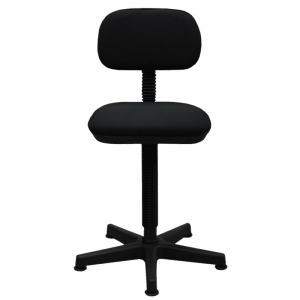 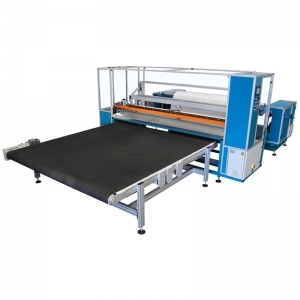 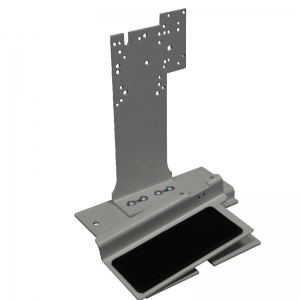 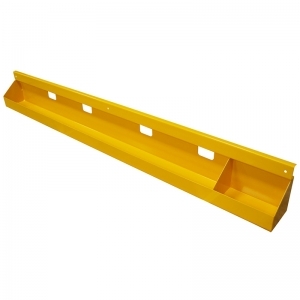 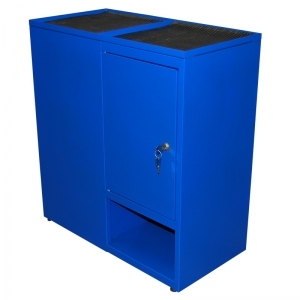 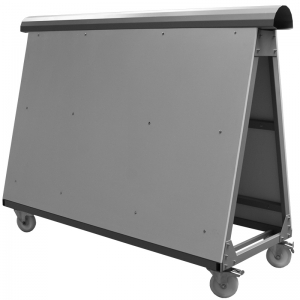 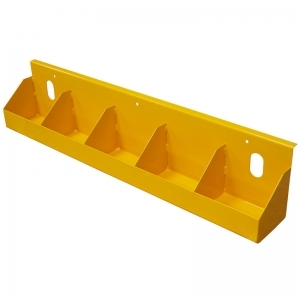 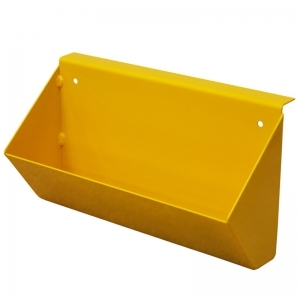 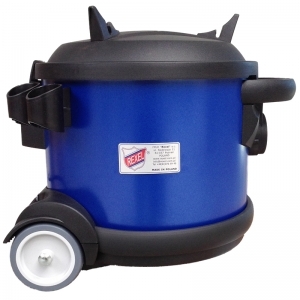 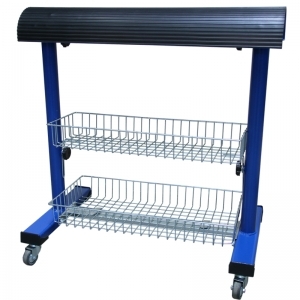 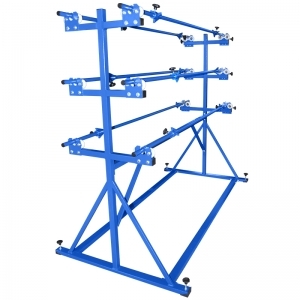 It is designed for companies that have to deal with lack of space or produce small furniture. 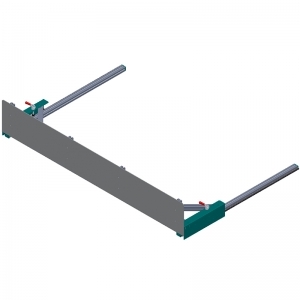 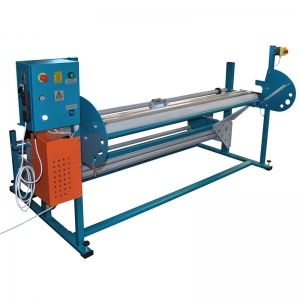 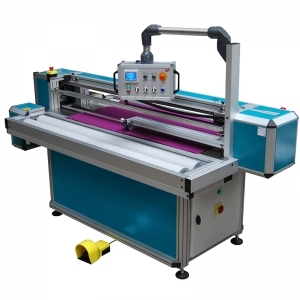 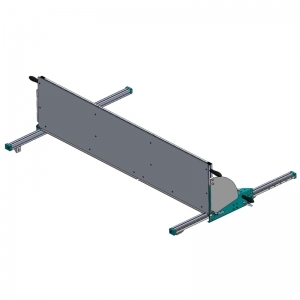 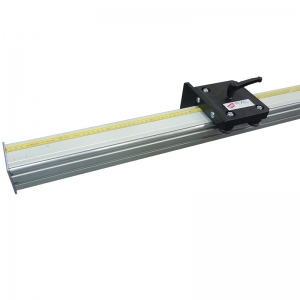 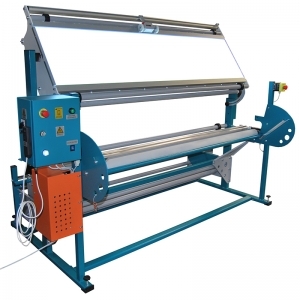 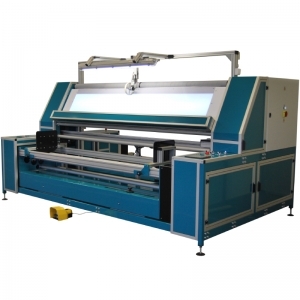 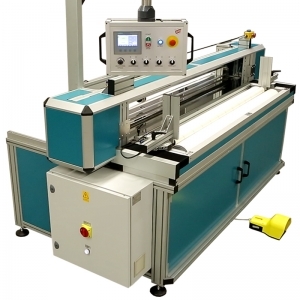 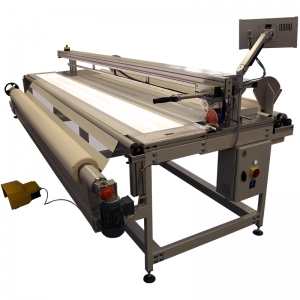 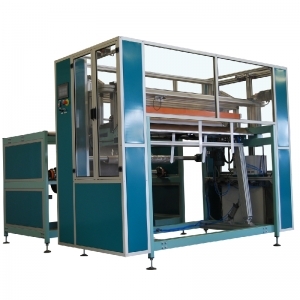 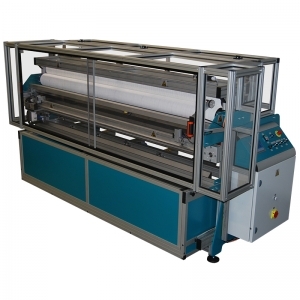 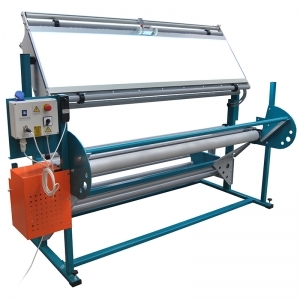 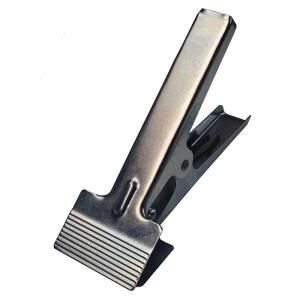 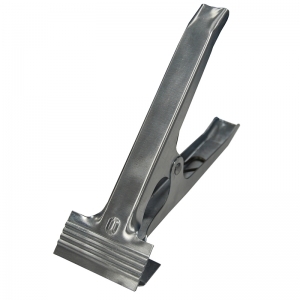 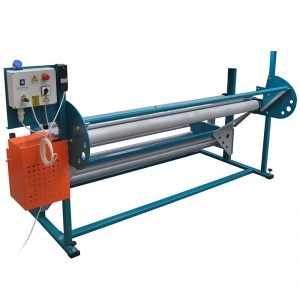 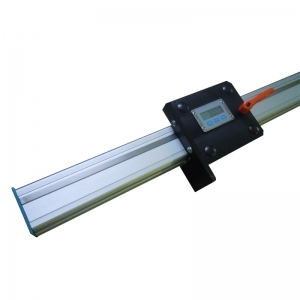 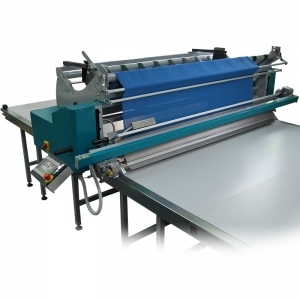 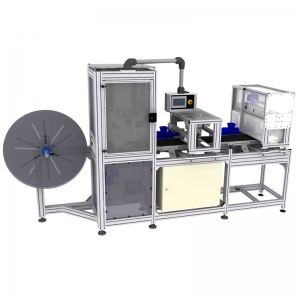 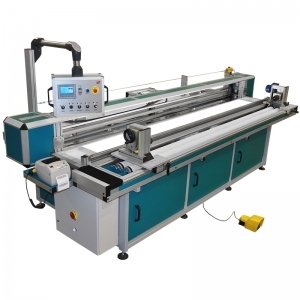 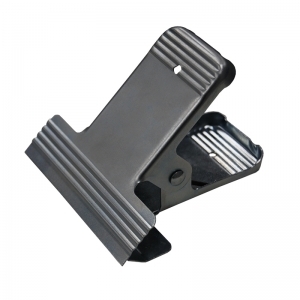 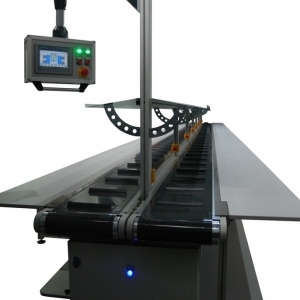 - This solid construction is based on steel profiles and pneumatic cylinder. 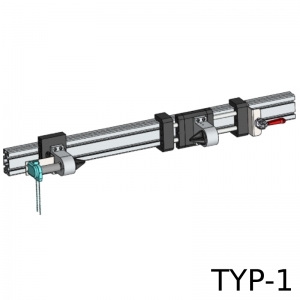 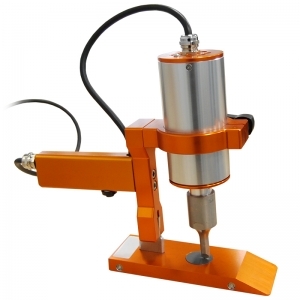 - The pneumatic cylinder is foot-controlled. 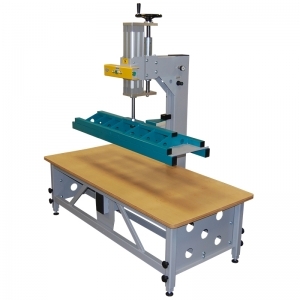 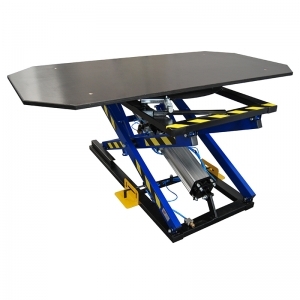 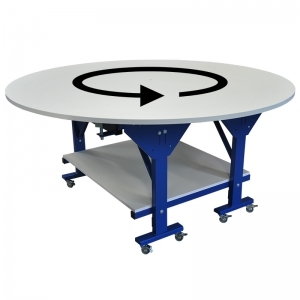 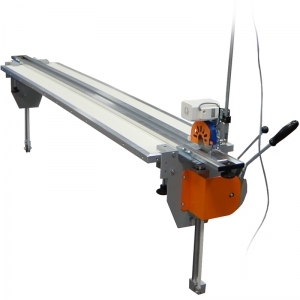 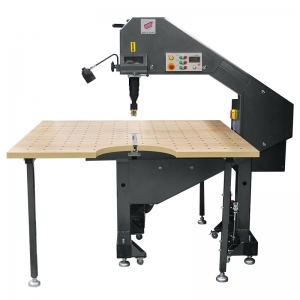 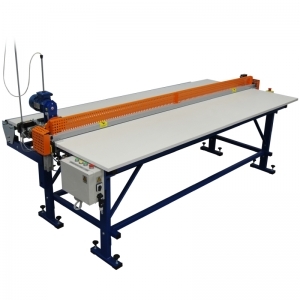 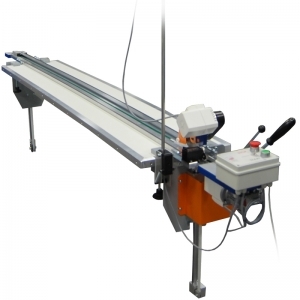 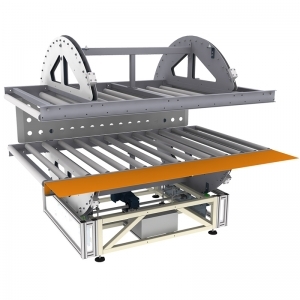 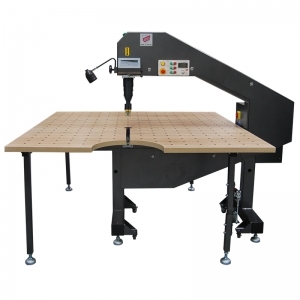 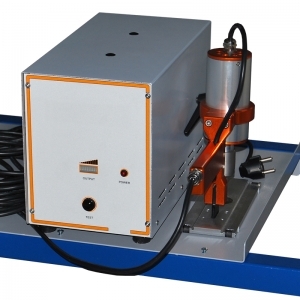 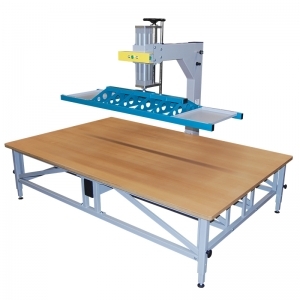 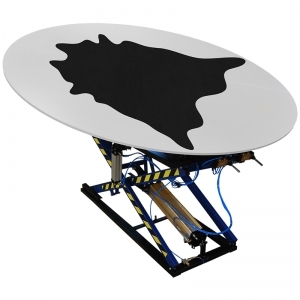 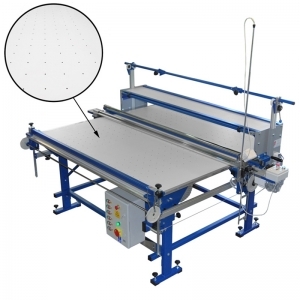 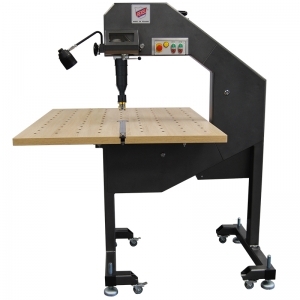 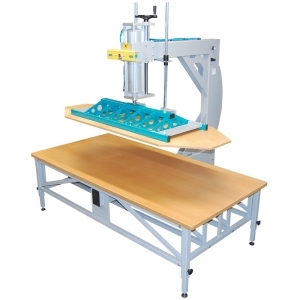 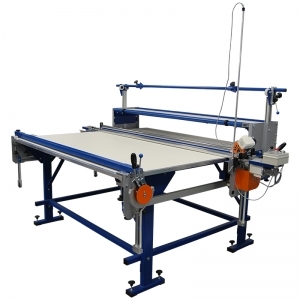 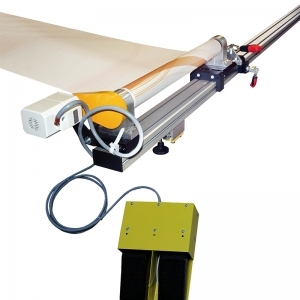 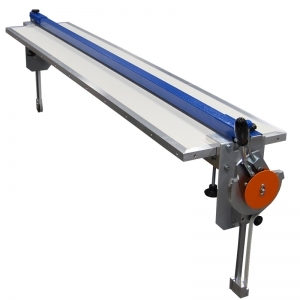 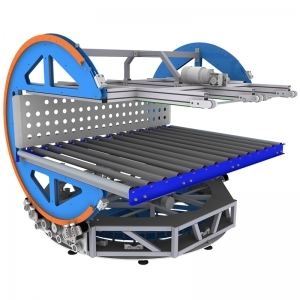 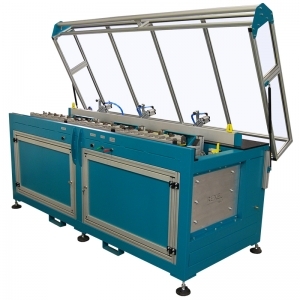 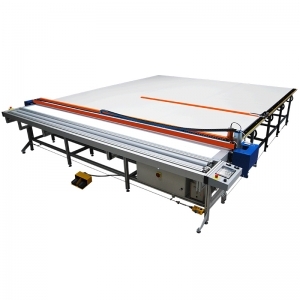 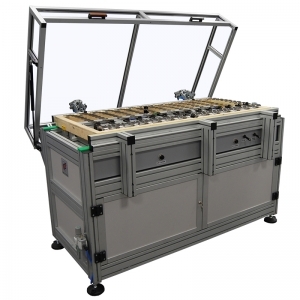 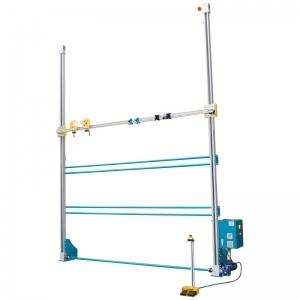 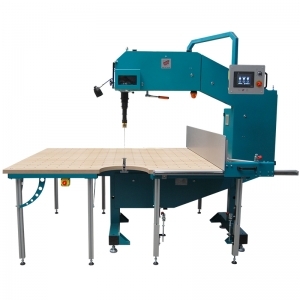 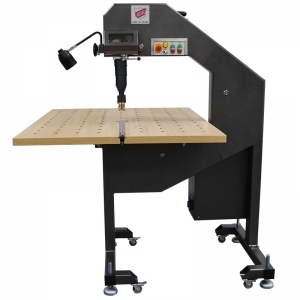 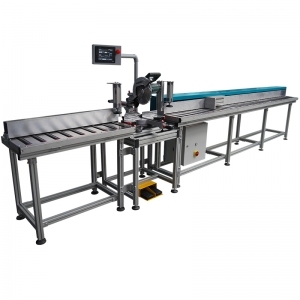 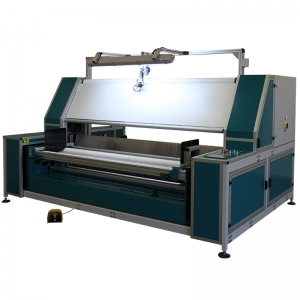 - The table has a connection slot for pneumatic tools. 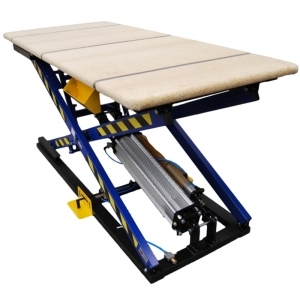 - After turning the table off it blocks automatically (cutting power off does not make the table fold). 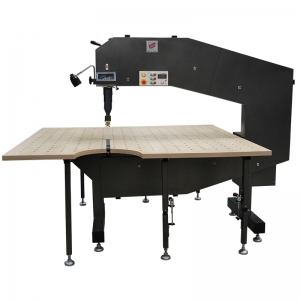 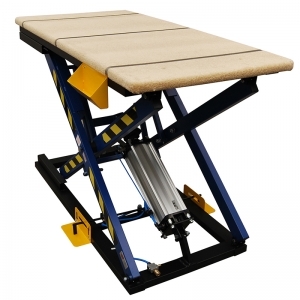 - The table can be equipped with a drawer for upholstery tools. 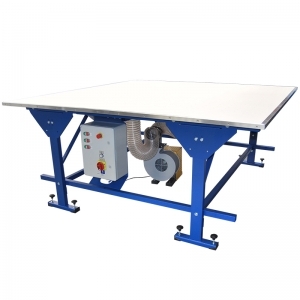 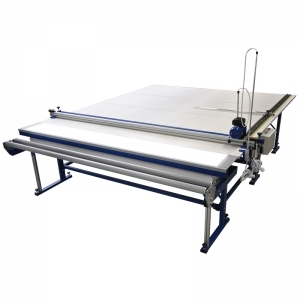 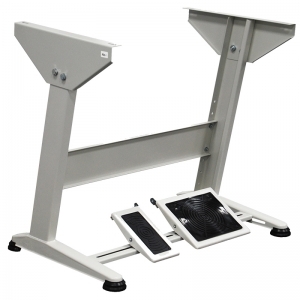 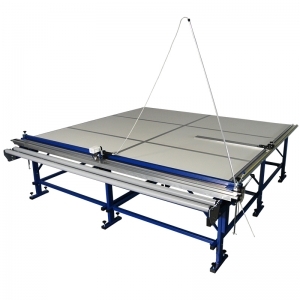 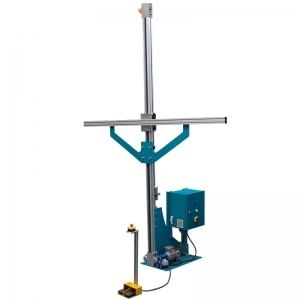 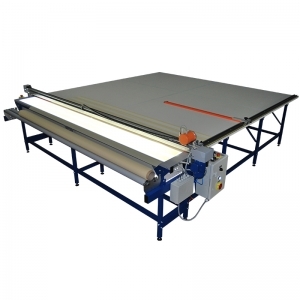 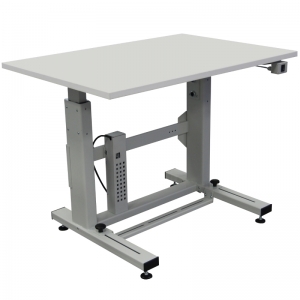 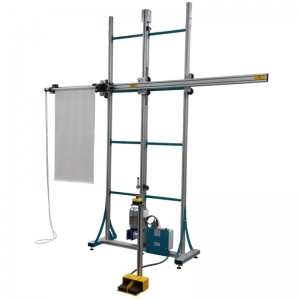 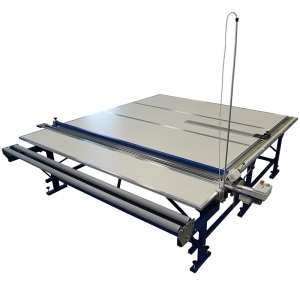 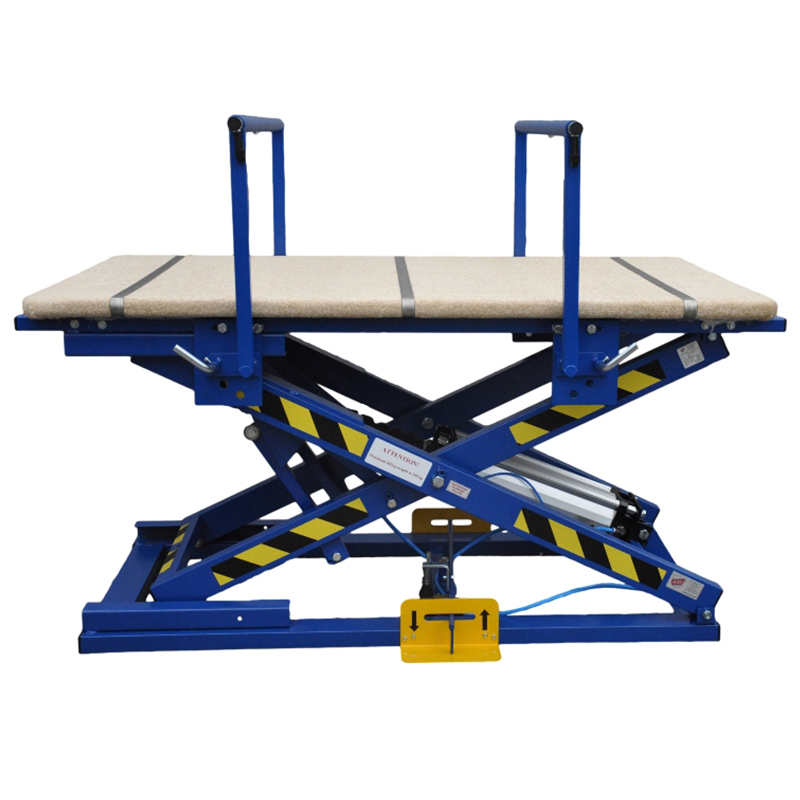 - It has been proven that using our lifting tables decrease the use of energy by 15% in comparison to upholstery trestles. 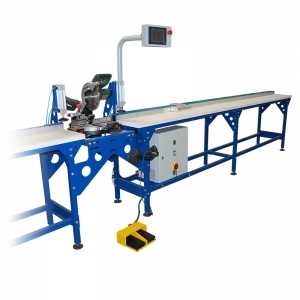 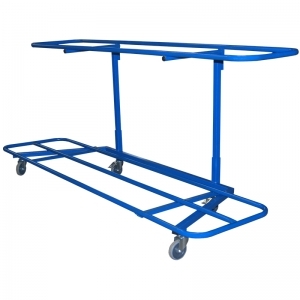 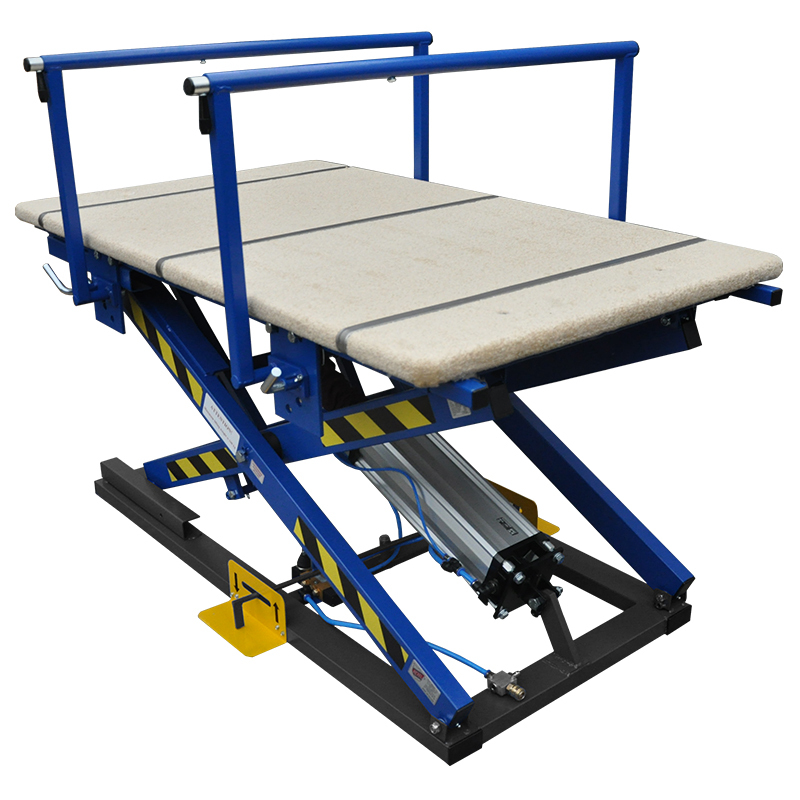 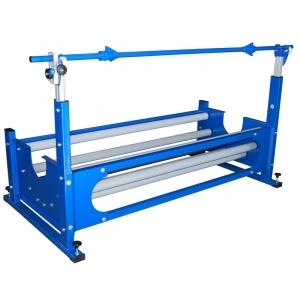 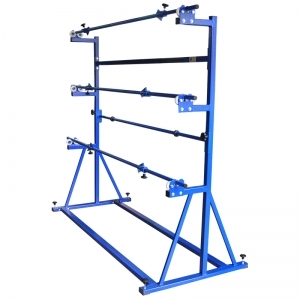 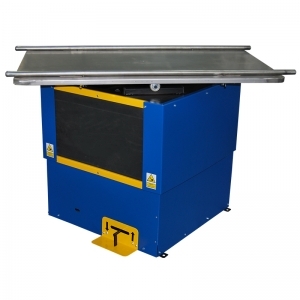 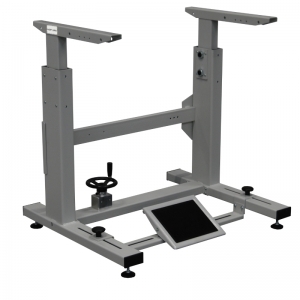 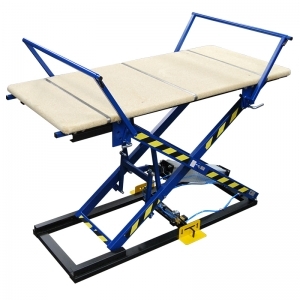 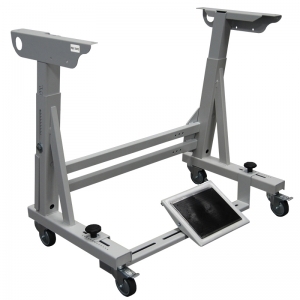 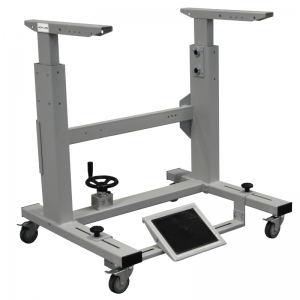 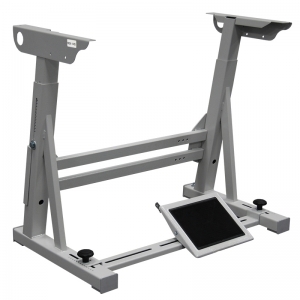 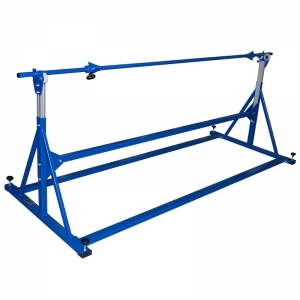 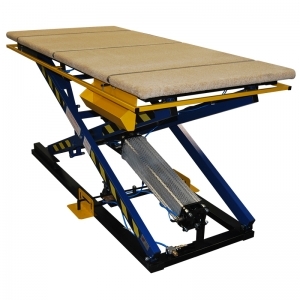 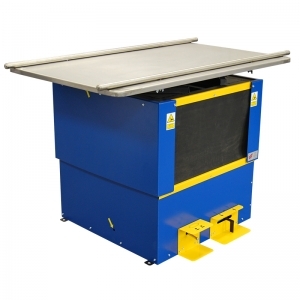 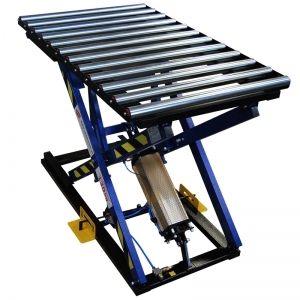 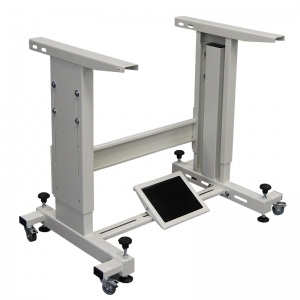 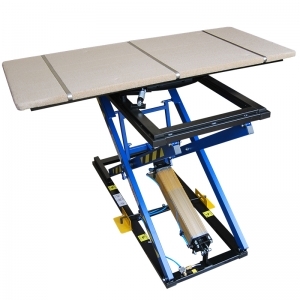 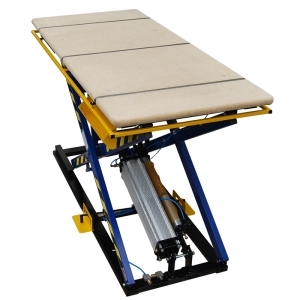 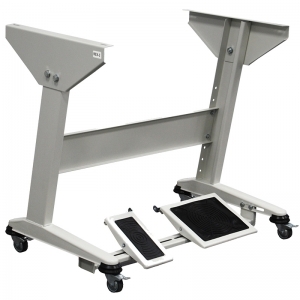 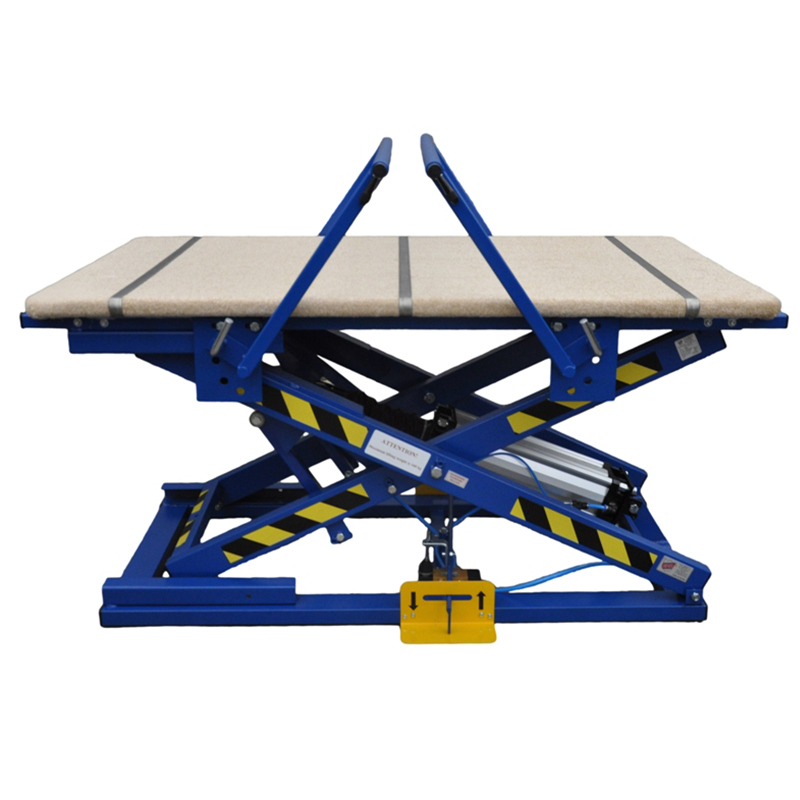 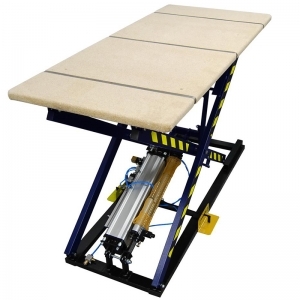 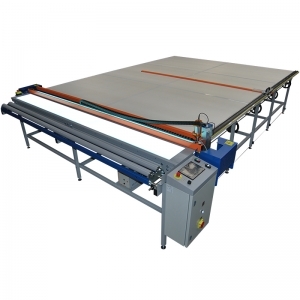 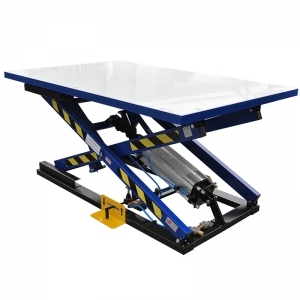 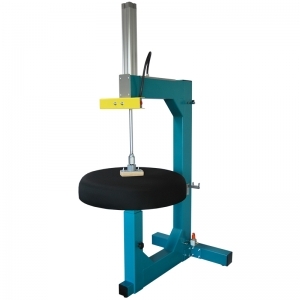 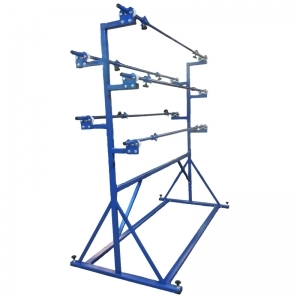 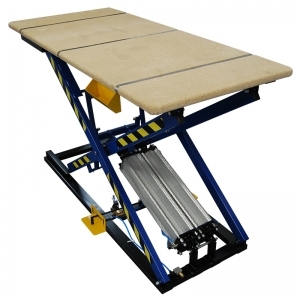 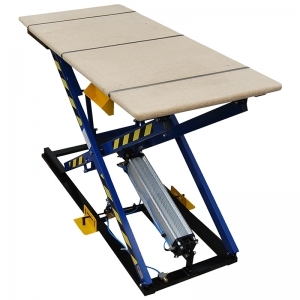 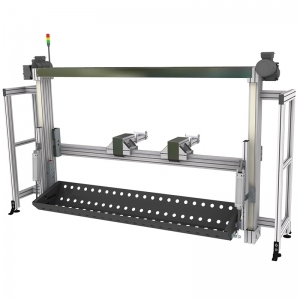 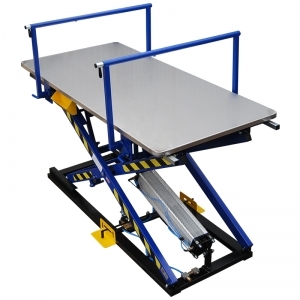 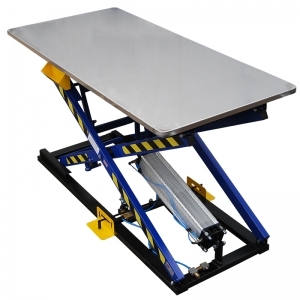 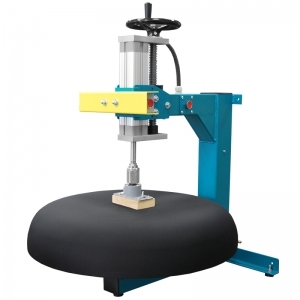 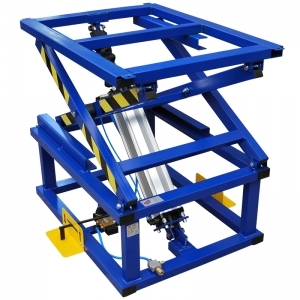 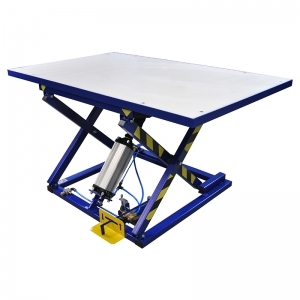 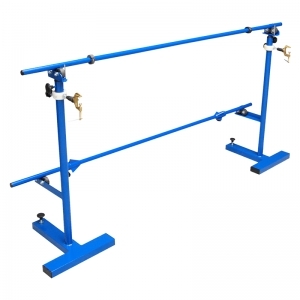 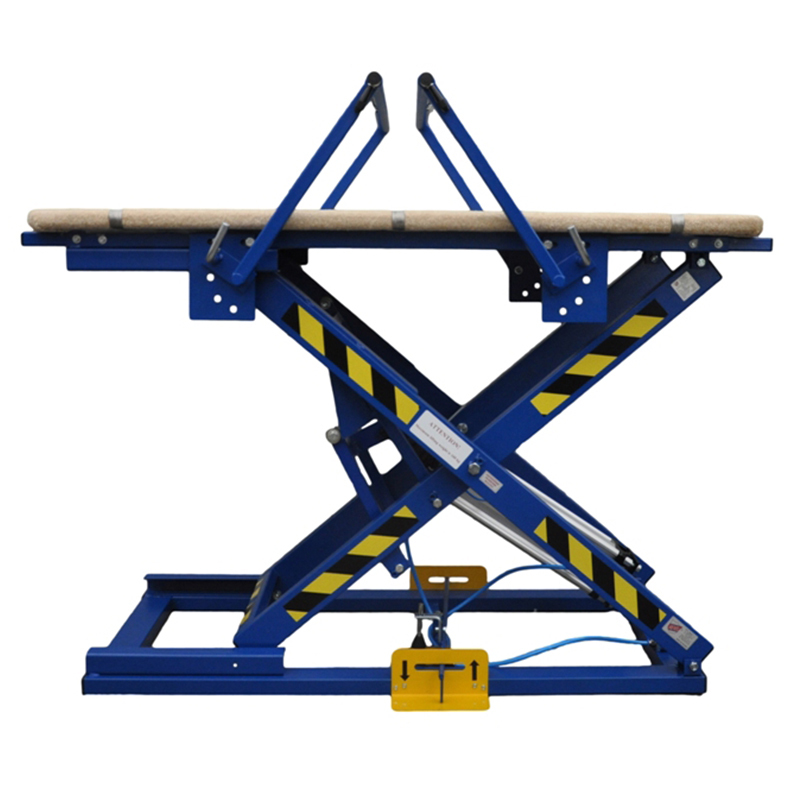 - An increase in productivity of at least 14% has been observed when employees used our lifting tables instead of regular upholstery trestles.